‎If it were up to me, I wouldn't own a car. I don't much enjoy driving. Nor do I enjoy paying for a car, caring for it, worrying about it, or otherwise having it on my mind. I also feel a whole lotta guilt for burning fossilized dinosaur juice that pollutes the atmosphere and sullies the planet. I rather despise that feeling of perpetual laziness that goes along with letting an internal combustion engine do all the heavy lifting for me. All things considered, I'd much rather take my bike wherever I need to go. But the realities of life in a northern town, where I have a family to cart around, a career to build and a life to lead, mean I'm somewhat stuck with the four-wheeled thing. Cities are built and lives are laid out in such a way that going carless would be an even bigger pain than owning one. My schedule doesn't afford me the luxury of time to get my kids where they need to go, or for me to zip quickly between home, office, studio and a million points in between and beyond. Even if it did, winter has a nasty way of interrupting even the best laid urban-commuter-cyclist's plans. And so I reluctantly find myself ‎getting into my little machine every morning and turning the key. With all the reasons to hate driving, I find myself looking for small touchstones in the experience‎ that make it, if not satisfying, at least tolerable. Enter the sunroof. My car has one. Every car I ever own must have one. Because nothing feels quite as soothing as sliding it open before setting off on a journey. Because feeling the open sky just above my head is a small reward when I absolutely have to drive somewhere.‎ Because even when it's too cold outside to allow open-air driving, the extra light it lets in makes me feel a little happier wherever I happen to be headed. Because we all deserve small luxuries that, despite their outwardly trivial nature, mean the world to us within our own day-to-day existence. And on this brilliantly sunny afternoon, the temperature had gone above zero for the first time in months. So I looked at our son in the passenger seat and cracked a half-smile as I suggested opening it for the first time this season. He half-smiled back and me and before either of us could say a word my finger was reaching toward the switch. 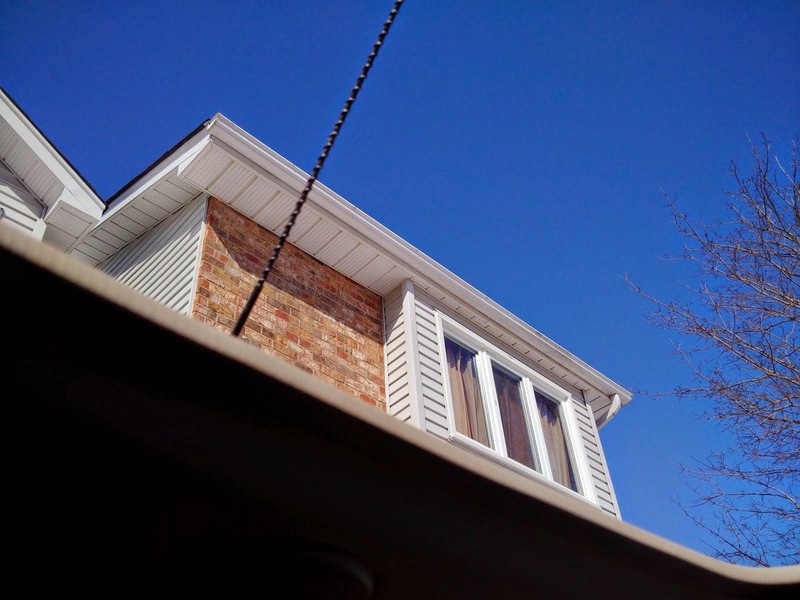 I remember the animated conversation, the tone of that shared moment as we slowly backed out of the driveway, far more than I do the actual sensation of the roof sliding open. We felt delightfully happy at the sudden and welcome release from winter's grip. And as much as I still don't much enjoy the whole driving thing, a shared moment of renewed joy with my little man is more than enough to make me wish for countless more drives just like it. With him. Because an open sky is always best experienced with someone special. Your turn:‎ Do you have a small luxury that makes you crack a half-smile? Or even a whole one? My convertible. The sheer joy of putting the top down and taking off for just about anywhere on a nice day...there's not much like it. It even beats the zoomy fun of the motorcycle, probably because we can talk to each other in the car, but not on the bikes.